To those who were paying attention, the ‘beheading’ videos of American journalists James Foley and Steven Sotloff do not actually show anyone being beheaded, but that hasn’t stopped the entire US government machine from shifting into full-blown overseas war mode this week. Much has been made of these two videos, yet, both are nothing more than crudely constructed propaganda videos, designed to start a new war at home, and abroad. The beheading videos have been accompanied by hundreds of hours of ISIS footage and reports of ISIS violence in Iraq and Syria. Predictably, the public reaction is outrage and fear. With the help of US and European multinational-owned TV networks, the videos have triggered an artificial tidal wave of national hysteria, and for the first time in history, America has a declaration of war based on two YouTube videos created and uploaded by persons unknown. As President Obama unveils his comprehensive strategy this week for dealing with ISIS, Vice President Joe Biden was so incensed by the two videos that he has already committed Americans to follow the militant group Islamic State of Iraq and Greater Syria (ISIS) “to the gates of hell… because hell is where they reside.” Yes, that’s right, Biden wants to drag the US to hell and back to get ISIS. Is is possible that both these video could be depicting brutal murders? Yes, of course it’s possible, but there are still many unanswered questions which should be answered. For both ISIS and the Pentagon, the PR campaign has been nothing short of masterful. This latest ISIS crisis has been flawless in terms of media execution and timing, as the anniversary of Sept. 11th approaches again and as other major global stories have expended themselves. To be sure, the PR explosion gave ISIS an unbelievably inflated media presence, but also benefited the US military industrial complex by making the global terrorism more relevant than ever before. A new CNN Poll revealed that this week 50% of previously war-wary Americans are now ready to go to war, and an incredible 71% of Americans believe that “ISIS is now active inside the US”, even though it not true and highly unlikely. There has never been a better example of what six weeks of wall-to-wall media coverage can achieve in terms of transforming public opinion. In this case, the objective is a green light to reignite the War on Terror and to rebrand Washington’s L’enfant terrible from al Qaeda to ISIS. Beyond the media Blitzkrieg however, all we really have are two edited propaganda videos which were uploaded to YouTube by an unknown individual(s). Together, the US gov’t and the US corporate media have done about 95% of the job of propelling these propaganda videos across all major global media platforms and giving ISIS possibly its biggest PR bump since it went public. CSI: How Can Doctored Digital Videos Be Considered ‘Evidence’ ? If these two cases were murder cases in any police department in the world, both would be still be open cases. In these cases, all we have is: no body, no way to determine any time of death, no way to determine cause of death, no actual deaths depicted on camera, no murder weapon, no way to determine who the murderer might be (assuming murders took place), and no way to determine location of the murder. Nothing at all. Yes, when you strip all the politics and sensationalism away, it’s still an open case. On top of this, various aspects of the videos were in fact been staged (read more below). In addition, we’ll prove that these videos are heavily edited and contain separate audio tracks, then staying in the realm of facts and forensics – there is no way to prove who the Jihadist in the video is, or even if ISIS created these videos. The Steven Sotloff “beheading” video is a curious production which deserves some analysis. The mainstream media and political war hawks have been unable to provide any intelligent analysis. As mentioned earlier, the James Foley video does not actually show a beheading. It shows a masked Jihadist with a small pen knife beginning to carry out what appears to be a throat slash, but the video inconveniently cuts to a still photo, a gruesome image to be sure, allegedly depicting Foley’s head resting on his corpse. Again, as it’s a digital video, there’s absolutely no way to confirm exactly what we are seeing, leaving the audience to assume that what the video’s creator has assembled for his audience is exactly what has transpired. To date, no mainstream broadcast outlet or politician has bothered to question the surreal productions, or their narratives. Both US and UK governments seem 100% satisfied with the “authenticity” of the videos from day one. What exactly authenticity means in the context of heavily edited ISIS propaganda productions is difficult to determine, but like all things terror, the public are told to take the govt’s word for it, and question nothing. Unfortunately, we cannot provide a video, or even a link in this article because of gov’t threats to arrest anyone watching the Foley video. It is still available online though. So concerned are gov’t authorities that no one views or analyses the James Foley video, that UK officials have deemed watching the Foley video as a ‘terrorist offense’. The Guardian reported, “Scotland Yard warned the public that viewing, downloading or disseminating the video within the UK might constitute a criminal offence under terrorism legislation”. Not surprisingly, according to forensic analysis, experts have already admitted that the James Foley ‘beheading’ video was in fact staged. Thats about as far as the establishment will go in exposing the video. Critics have also flagged up Foley very interesting resume. In 2009, just three years before his capture in Syria, Foley worked for CIA front organization USAID, apparently working on ‘development projects’ in Baghdad. In 2011, he “moved to Libya” where he was promptly kidnapped by NATO-backed Islamist fighters and held for over a month. Then in 2012, Foley landed a gig with an unusual Boston-based, online media outlet called GlobalPost. With no visible advertising and a membership subscription base in the hundreds, somehow GlobalPost manages to pay for up to 65 foreign correspondents, sending their reporters as eyes and ears on the ground in hot spots like Syria. The answer to this puzzle comes in the form of a handful of elite US foundation, quietly injecting millions of dollars into their GlobalPost operation. They include the Ford Foundation, the Kaiser Family Foundation, the Open Hands Initiative, The Henry Luce Foundation, The Bake Family Trust, The Correspondents Fund and the Galloway Family Foundation. So what does this all mean? We don’t know, but it seems that no one else is even asking. The James Foley video and the Steven Sotloff video have different landscape backgrounds, indicating that these were filmed in different locations. Israeli-American journalist, Steven Sotloff’s video is shot with at least two cameras, with camera one supplying a close-up of Steven, and camera two providing a pull-back shot at a 45º angle towards Sotloff’s lefthand side. Camera two gives us some idea of camera one’s position – at least 10 feet in front of Sotloff (see video below). Both the Foley and the Sotloff videos suggest that the alleged victims’ monologues were memorized, or even delivered ad lib. Both are possibilities. Sotloff’s opening 10 minute diatribe is clearly reciting from a script, however camera two’s position would suggest that there were no cue cards or a teleprompter close enough to read. Weather conditions show heavy winds, so no flip pads or cue cards. So let us assume that Sotloff memorized his 10 minute monologue, and on top of that, he delivered it passionately, as if in character. To be sure, his performance was over-the-top. If he was speaking against his will then you’d expect maybe a more dry delivery, but Sotloff’s monologue is anything but dry and dispassionate. It was a challenging 5 star performance that could not have been pulled off by anyone, which makes it seem all the more stranger. You can hear the wind in Sotlff’s audio, indicating that this was filmed live on site. When Sotloff finishes, and theatrical character, ‘Jihadi John’ jumps in to deliver his speaking part, you can tell right away that the terrorist actor’s voice is edited in from an entirely different audio recording, clearly recorded at a different time. There is no wind and the recording quality is noticeably different. As with the James Foley video, Jihadi John is wielding a rather tiny knife over Sotloff, not quite enough to pull off a beheading. US authorities claim to have seen the entire Sotloff ‘beheading’ video, although no one else has, including the media. The public are meant in this case, to accept the gov’t line that it was a beheading video. When considering the Foley video, which was proudly paraded around US media and used as a political springboard by politicians wanting to look tough, we must stress again that the Foley video did not show James Foley being beheaded. Instead is was a heavily edited piece which may or may not be what everyone says it is. We’ve yet to see Sotloff being beheaded because apparently, it seems like ISIS only provided one copy of video to a CIA and Pentagon-linked media arm called SITE (their logo is embossed on the upper righthand corner of the video) and the public are not allowed to see it. We don’t know if that video depicts a beheading or if it’s just an edited mash-up like the Foley video. Part of the ISIS PR magic is because the Islamic terror outfit seems to have a media super pipeline in SITE. In the past, SITE has managed to gain exclusivity to all high-profile al Qaeda, al Shabaab, Boko Haram, and other popular terrorists brands. Now they are trafficking in ‘ISIS’ videos. FOLEY VID: SITE are managing terror media for western audiences. SOTLOFF VID: SITE have the inside track on a Sotloff video that no one else has even seen. SITE co-founder, Rita Katz, is Israeli and committed Zionist, with obvious close ties to Mossad, which makes the whole operation even more interesting. SITE is an offshoot of the notorious Intel Center. 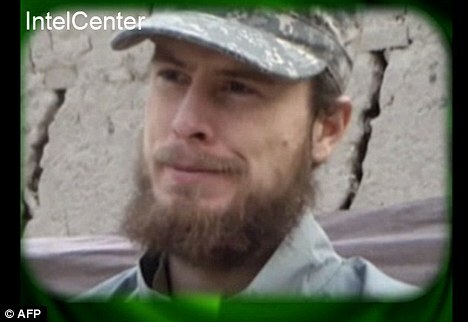 Intel Center also has the scoop on Taliban imagery of captured Bowe Bergdahl. The case for CIA management of the Bergdahl Affair is also strengthened by the role of ‘Intel Center’ in managing the Bergdhal’s PR campaign. Intel Center is staffed by ex-Pentagon specialists, and just like their sister organization, SITE, they have somehow enjoyed a monopoly on all high profile ‘terror videos’, including many of the dubious exclusives of terror celebrities like Osama bin Laden, Ayman Al-Zawahri and Adam Gadahn (aka Adam Pearlman, the notorious Jewish-American ‘al Qaeda’ leader, and the grandson of the former head of the ADL) in videos released to the American public since 2001. Both SITE and Intel Center have been repeatedly accused of distributing completely fake al Qaeda videos at what can only be described as politically convenient times, in order to manipulate public opinion, particularly American opinion. Intel Center’s logo has been embossed on a number of the major photo releases for Bowe Bergdahl (see image below). When you see terror sock puppets like Ayman al-Zawahri, the alleged leader of Al Qaeda, praise the Syrian fighters by referring to them as “The Lions of the Levant,” in messages released exclusively via a known CIA media dissemination outlets like SITE, or INTEL CENTER, then readers should be suspicious of why it’s been released and what political effect it is designed to have. Previously, IntelCenter was exposed by journalist Neal Krawetz for inserting their own logo on Al-Qaeda videos at the same time the so called ‘Al-Qaeda’ Arabic media logo was inserted in the same videos. That’s right, same video layer, which means Intel Center created the original terror video. At least one of the most famous bin Laden videos has been roundly proven as a fake, but this never stopped Washington from using it as a media feature to help hype DHS Threat Alerts and maintain a steady flow of funding for the global War on Terror. 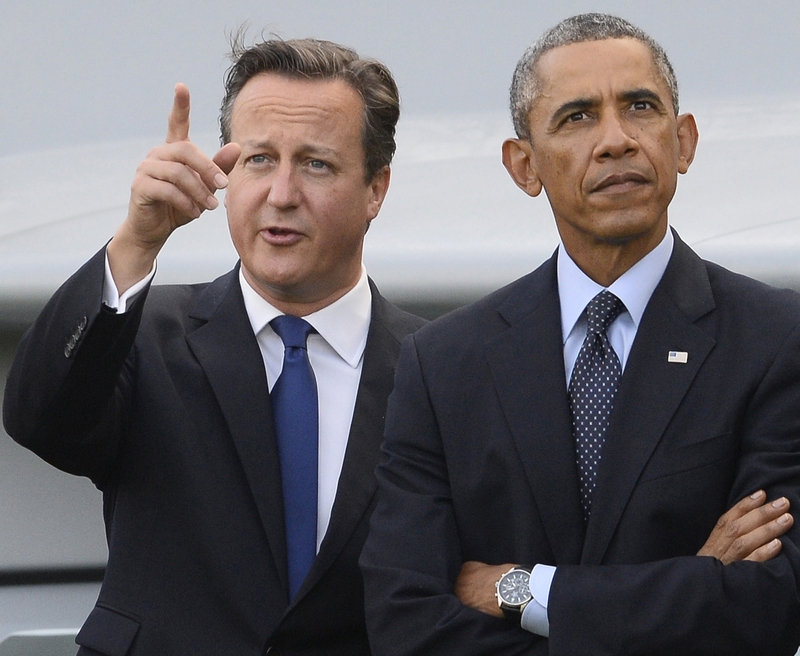 It was a well orchestrated media push by the West to market the alleged ISIS beheadings. For Washington and its media arms, this wasn’t without a specific objective. Alongside Foley and Sotloff has been continuous media messaging and the relentless talking-up about seemingly inevitable US air strikes… in Syria. In a logical world, if the real objective was to eliminate ISIS, then you would expect that Washington would want to sit down with both the Syria and Iraqi govt’s in order to form a strategy to flush out and destroy the ISIS brigades. With that level of coordination, the terror group could be wiped out in a matter of weeks, but that cannot happen because the US is playing a double agenda. Part One of that agenda is over the table with US promising policy to “degrade ISIS”, while the second part is under the table – a continuation of its long-running project of driving a bloody civil war inside Syria by supporting, funding and arming rebels fighters to achieve regime change in Syria. The US will certainly use any air strikes in Syria to hit key Syrian military targets – carried out under a complete media blackout around ‘wrong targets’, and also use airstrikes to provide air cover for the FSA Syrian rebels which it has been funding and arming since 2012. In the end, this is where all ‘terror videos’ eventually lead to.